the Saturday, July 12 event to La Crosse, Wis.
As Major League Baseball's All-Star Game heads to Minneapolis this July, a scheduling conflict affecting the DCI Minnesota event at TCF Bank Stadium will give Drum Corps International the opportunity to bring the event's lineup to La Crosse, Wis. to celebrate the Blue Stars' 50th anniversary. 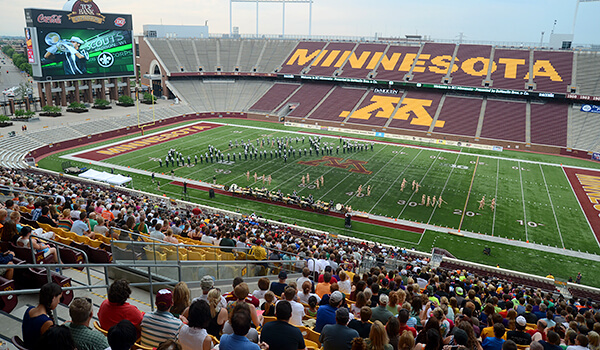 While MLB's traditional mid-season game won't be played on the football field of the University of Minnesota, a major concert event as part of the All-Star Week festivities will be hosted at the venue, thereby causing a conflict with DCI's annual competition. "It's always inconvenient to have to relocate longstanding events, but we're glad to be this far out from the summer months working with some great partners to reschedule and reorganize," DCI Director of Events Susan Kuehnhold said. Taking the place of DCI Minnesota at TCF Bank Stadium as well as the River City Rhapsody DCI Tour event (originally scheduled for Friday, July 11) in La Crosse, will be a huge lineup of 15 drum corps that will march onto Veterans Memorial Field at the University of Wisconsin–La Crosse on Saturday, July 12. The new DCI La Crosse Premier Event is poised to be one that is especially meaningful for the Blue Stars. 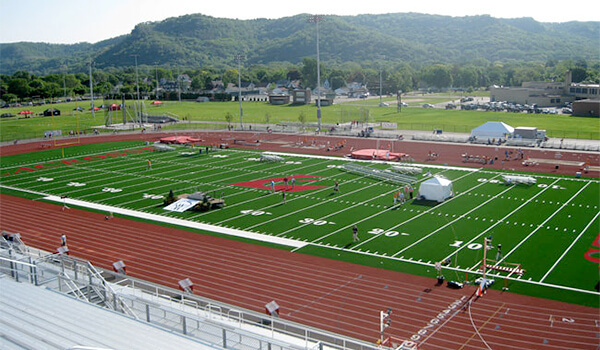 "As we celebrate the Blue Stars' 50th anniversary season, we're very excited to welcome fans old and new to beautiful La Crosse for this very special event," Blue Stars Executive Director Brad Furlano said. In addition to the Blue Stars, performances by the Bluecoats, Boston Crusaders, Carolina Crown, Colts, Jersey Surf, Phantom Regiment, Spirit of Atlanta, Cadets, Cavaliers, Blue Saints, Music City, Legends, Racine Scouts and Govenaires will help to kick the hometown corps' anniversary celebration into high gear. The event will also feature a very special performance by the Blue Stars 50th Anniversary Alumni Corps which is being put together for the organization's milestone year. Tickets for DCI La Crosse will go on sale beginning Monday, Feb. 17 through the Drum Corps International Box Office. Learn more about purchasing tickets to the DCI La Crosse event. Also added to the 2014 DCI Tour schedule will be an event Friday, July 11 in the Minneapolis/St. Paul area. A venue still to be determined will play host to a lineup of eight corps including the Blue Devils, Bluecoats, Boston Crusaders, Colts, Jersey Surf, Legends, Blue Saints and Minneapolis' own Minnesota Brass. "While we have every intention of returning to TCF Bank Stadium in 2015, we're well on our way taking steps to ensure these new 2014 events are spectacular in their own right," Kuehnhold said.